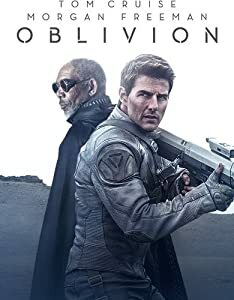 BRIEF SYNOPSIS: The Commonwealth defends itself against the hostile alien Primes and looks for the mysterious Starflyer alien that started the war. PROS: Distinct characterizations; exciting action sequences and climaxes. CONS: Slow start; weaker first half; unnecessary world building. BOTTOM LINE: Worth the read if you liked the awesome Pandora’s Star but don’t expect the same caliber of story. The dangerous part about liking a book so much is that its sequel has much to live up to. After reading Peter F. Hamilton’s awesome Pandora’s Star, my expectations were set fairly high for Judas Unchained and while the book had its moments, it failed to meet the previously-set high standards. An 800+ page space opera sequel made up of multiple sub-plots and even more characters is hard to summarize, but I’ll try. In Pandora’s Star, a barrier is discovered around the sun of a remote system. When a ship is sent to investigate, the barrier disappears and a hostile alien race known as the Prime are released, free to follow their narrowly-focused ideals of life and obliterate every other being found in the Intersolar Commonwealth, a group of populated planets in the 24th century whose colonization was made possible through the use of wormhole technology. Judas Unchained focuses not so much on defending against the Prime (although there are plenty of sections that do) as it does on The Guardians of Selfhood, a xenophobic terrorist cult led by Bradley Johansson. The Guardians maintain that an alien-in-hiding known as the Starflyer is set on destroying the human race and has unleashed the Prime to do just that. Johansson and company (including ex-radical Adam Elvin) are convinced that key people in the government (led by President Elaine Doi and senators like Justine Burnelli) are being controlled by the Starflyer. Johansson and Co. is being pursued by Paula Myo, formerly of the Commonwealth’s Serious Crimes division until she started believing in the Starflyer. Meanwhile, the newly formed Navy, led by expert pilot Admiral Wilson Kime, is trying to deal with further Prime attacks and must consider the use of genocidal weapons. Given the number of sub-plots in Judas Unchained, I’d say that’s a very brief summary. The story got off to a slow start, though it’s unclear if that’s a decision to offset the rapid paced ending of the previous book (as if the two are meant to be read in succession) or if it’s meant to be a slow buildup of suspense. I tend to believe it is the former explanation since there is not much handholding to ease the newbie reader into the plot. Sadly, the effect is that the sense of emergency and danger so wonderfully laid out by the end of the first book is essentially extinguished. In Judas Unchained, there is an inordinate amount of world-building. While this was welcome in Pandora’s Star as it helped define the universe, here it was just unnecessary and even intrusive. This seems ironic coming from me since the world-building was what I loved so much about the previous work. But since all of the building and plot setup was already done before, the inclusion of so much more of it seemed like overkill. Much of the first half of the book also involves characters moving around and spying on each other in attempt to uncover the Starflyer and his agents. This caused me some dismay. Throughout the bulk of Pandora’s Star, the Starflyer is portrayed as a non-entity; a false cause through which Johansson can control his followers. Yet in Judas Unchained, it is seemingly a common belief that the Starflyer alien is, in fact, real and not just a figment of Johansson’s delusions. True, the end of the previous book did show evidence that the Starflyer might indeed be real (witness Paula Myo’s turnaround) and several characters in Judas Unchained still need convincing. Nonetheless, the assumption that the Starflyer exists at all seems unwarranted (its inclusion in the Dramatis Personae listing notwithstanding). 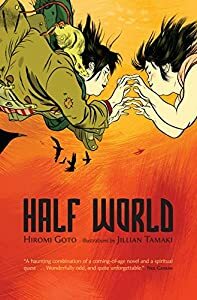 This tended to drag down the first half of the book even when there were some bright spots including some planet-side military action on a Prime-occupied planet. The second half of the book was much stronger and mostly returned to its former glory. This was when the separate story lines undergo their respective mini-climaxes and when the war with the alien species known as Prime picks up again. Here we get to see glorious space battles, ulterior motives, chases, killing and (by then) much needed action. The latter parts of the book were seriously page-turning. All the characters from the previous book return, though with the memory-store and rejuvenation technology, this should be no surprise. As can be expected in space opera, some characters are not what they appear to be. The fun was in trying to figure out who were agents of the Starflyer. As before, all the characters are distinct and memorable, a very impressive feat with a cast of characters this large. Meallanie Rescorai, Unisphere personality and agent for an artificial intelligence of unknown alignment, plays a larger role in this story than before, maybe to offset that Wilson Kime’s wife, Anna, a decidedly tough gal in the previous book, assumes the role of the quiet wife this time around. I did find one character’s storyline odd: hippie wormhole creator Ozzie Isaac spends even more time traipsing around the mysterious Silfen paths where he eventually (finally) learns something useful: the identity of the creators of the Prime world barrier. Unfortunately, that information is of almost no use and Ozzie just becomes the voice of pacifism when he learns of the planned genocide against the Prime. That made about as much sense as using the wormhole technology to ferry people to the safety of the future, but not to eradicate the Prime threat. On the bright side, Ozzie’s pacifism leads him into one of the books final lively climaxes. Another of the book’s climaxes involves an exciting, lengthy, multi-world chase to catch the Starflyer, a chase made even more dramatic since it teamed up previously warring factions. To be fair here, Hamilton had high expectations to live up to. I loved Pandora’s Star and highly recommend it. And if you read that, you’re going to want to see how it ends. My advice when you do: don’t fall into the trap of expecting too much. Man, did you even **read** the book? I read the book and agree with the reviewer. Interesting but like sifting through mud to get to the gold. Far too much tedious descriptions of the world counterpoised against some difficult to imagine (read poorly described) action scenarios. I had real difficulty in imagining some of the later scenes possibly as I HAD to skip some of the more tedious and unnecessary descriptions of irrelevant scenic minutia. I really loved Pandoras Star but this book needs some serious editing to be in the same league! – still had to read it to get some intellectual closure after Pandoras star. I am happy to see that others have formed the same opinion of “Judas Unchained” as I have – I thought I was losing my touch in SF appreciation! After reading the brilliant “Pandora’s Star” I could hardly wait for Peter F Hamilton to come out with the promised sequel! I bought it as soon as it was published and started reading avidly, hoping it would take up where the first book had left off. Alas, this massive second tome soon became bogged down in prolonged and verbose descriptions of futuristic detective work and convoluted interstellar politics. And here I was, just hanging out to see what that embodiment of pure alien evil, MorningLightMountain, would come up with next! It takes almost half the book before the alien makes its appearance. Admittedly, the pace picks up from there, but this sequel is a pale shadow of its predecessor. Even the action-packed final sequences between the Starflyer and the pursuing Guardians of Selfhood, and between MorningLightMountain and Ozzie and Nigel, appear to have been hastily thrown together to conclude the story in what seems to be a great rush after the agonizingly slow build-up. From a personal point of view, I really wanted to know more about the aliens – the concept of a single organism with billions of fully-controlled subordinates is brilliant – and more about the possible confrontations between such an incomprehensible entity and humanity as we know it. But thanks anyway, Peter – “Pandora’s Star” will remain one of my all-time favourites! I have just finished Judas unchained-what a slog! I found Pandora’s Star an exhilerating read but that was forgotten by the time i got to the last 300 pages of Judas unchained. To be honest, i was bored. The ending was signposted far too early which meant any sense of a dramatic, gripping ending was lost. The chase on Far away was bogged down in pointless description-was there ever any doubt that the Guardians etc. would reach their goal? I don’t think so. This, inspite of wonderful scientific & conceptual ideas, is far from good writing. It did appear,given the sudden end to some characters and unsatifying conclusions to some plotlines, primarily the utter pointless world hopping of Ozzie et al, that the editors hand was very much to the fore by the end of this saga. I have enjoyed much of Hamilton’s output, but after reading this i will be more cautious at picking up anything else. Can’t someone out there tell him how to characterise properly? pretty damn boring book, poor story line, where has sciece fiction gone if this is the best that can be offered. having trouble sleeping? read 1-2 pages, you’ll soon doze off.